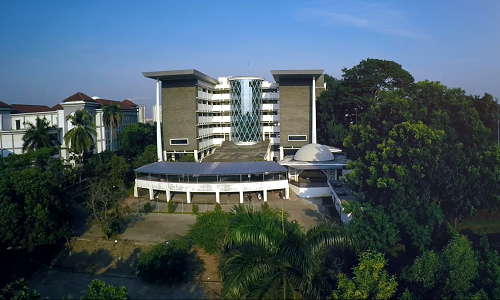 FU Building, UIN News Online -KH Abdurrahman Wahid or Gus Dur (7 September 1940 – 30 December 1969) and Sayyid Ayatollah Ruhollah Khomeini (24 September 1902 – 3 June 1989) had a nearly equal view of social justice equity. Both of them agree if the ritual worship performed by a Muslim should have an effect on caring on others. Thus was the conclusion of Social Justice discussion fromÂ Gus Dur and Imam Khomeini Perspective which was held in Iranian Corner UIN Jakarta-Consular Culture of the Islamic Republic of Iran in the Faculty of Ushuluddin (FU) on Wednesday (6/7). The discussion moderated by Ushuluddin Lecturer Ahmad Baiquni MA and presented speakers from the author of Humanism Gus Dur Syaiful Arif, and Cultural Counselor of the Islamic Republic of Iran Abdor Reza Saifi. The discussion opened by Ambassador of Islamic Republic of Iran Valilollah Ahmadi. According to Arif, one of Gus Dur’s views representing social justice is that all worship in the pillars of Islam must bear compassion toward others. This view is different from the general belief that worship is intended only for the benefit of each individual to be free from hell and get heaven. “In fact, according to him, all worship in the pillars of Islam has a social dimension,” he explained. 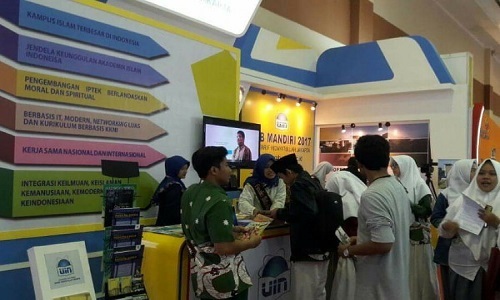 In order for Muslims to fight for social justice, Gus Dur suggested to take a number of major steps. Among them, Muslims must have social awareness in every worship or social pillar. In this case, Gus Dur initiated this social pillar to bridging between the pillars of faith and the pillars of Islam. “The social pillars become the bridges of the pillars of faith and the pillars of Islam,” he added. The other way was to put fiqh as a social ethic. For him, the discussion of Islamic law is not only on the themes of worship, jinayah, and mu’amalah but also on how to promote and prosper the Muslims by creating social justice. While Khomeini, Ahmadi said, in growing social justice, he created a solid foundation in the Islamic revolution. This revolution was put up on the foundation of social justice application, freedom, and independence which become important values of these nations of the world without separating them from the ethical and spiritual dimensions. “This revolution is a combination of demands of justice, freedom, democracy, spiritual and morals,” he explained. In line with Ahmadi, Saifi said, the style of social justice was also evident from Khomeini’s personal awareness. This evident we can see from Khomeini’s simple life application throughout his life time.